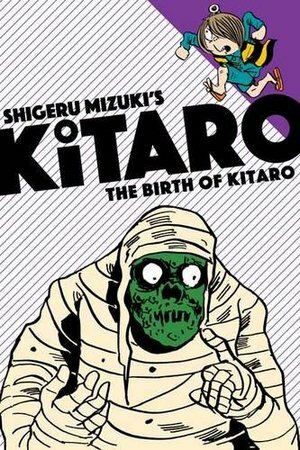 Meet one of Japan's most popular characters of all time-Kitaro, the One-Eyed Monster BoyThe Birth of Kitaro collects seven of Shigeru Mizuki's early, and beloved, Kitaro stories, making them available for the first time in English, in an all-new, kid-friendly format. These stories are from the golden era of the late 1960s, when Gegege no Kitaro truly hit its stride as an all-ages supernatural series. Mizuki's Kitaro stories are both timelessly relevant and undeniably influential, inspiring a decades-long boom in stories about yokai, Japanese ghosts, and monsters. "Kitaro's Birthday" reveals the origin story of the yokai boy Kitaro and his tiny eyeball father, Medama Oyaji. "Neko Musume versus Nezumi Otoko" is the first of Mizuki's stories to feature the popular recurring character Neko Musume, a little girl who transforms into a cat when she gets angry or hungry. Other stories in The Birth of Kitaro draw heavily from Japanese folklore, with Kitaro taking on legendary Japanese yokai like the Nopperabo and Makura Gaeshi, and fighting the monstrous recurring villain Gyuki.With more than 150 pages of spooky and often funny comics about the titular yokai boy, The Birth of Kitaro is the perfect introduction to the award-winning author Mizuki's most popular series, seminal comics that have won the hearts of Japanese children and adults for more than half a century.